Cylinder, master, assy. (CI body). 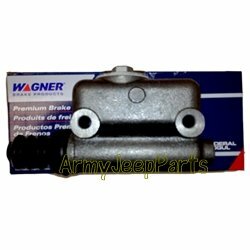 These are Wagner brand cylinders and the best avail on the market today. We buy direct from the manuf so can give you the best price possible on the market today. No need to purchase a No Name Brand master with a price this good.